There are risks associated with any surgical intervention – with a minimally invasive endoscopic surgery there are mostly only minor risks, like e.g. hematoma or wound pain that will subside spontaneously after a couple of days. More than 4500 endoscopic surgeries have been carried out at the APEX SPINE CENTER. Up to today there were no serious complications. Possible risks known from the conventional “open surgeries” like persistent neuronal dysfunction, scarring or adhesions, postoperative pain, instability of the spine, infections, hemorrhage and pareses can be obviated by minimally invasive surgery. No, you will feel no pain. Along with the local anesthesia you will get an intravenous infusion of sedating drugs that will make you feel quite reposeful. Thanks to this anesthetic regimen a lot of complications that might be associated with general anesthesia can be prevented. Also you will suffer less from circulation problems and feel better directly after surgery. Still many colleagues think that some herniated disks – especially large prolapses or those with sequestrum (free fragment beyond disk level) - cannot be removed endoscopically. With the instruments and surgical methods that have been developed in-house at the APEX SPINE CENTER all herniated disks independent of their size and location can be treated endoscopically. 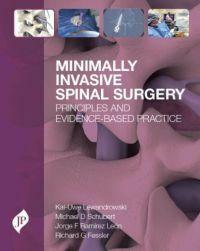 An endoscopic intervention is an especially well suited option for a second spine surgery. Additionally to the protruded disk material, also scar tissue from the first surgery can be removed. As a first step you can call us under 0700-20 4000 20 or write us an email (info@apex-spine.com). We will inform you about the necessary documents (refer to anamnesis) and the further proceedings. Please fill in the respective anamnesis questionnaires and attach copies of your diagnostic findings and MRI images. Please do not send us any original documents or CD-ROMs! We will send you our evaluation together with the therapeutic options and a cost estimate.